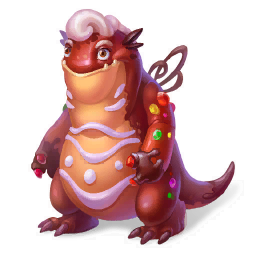 The Cookie Dragon is famous for its sweet tooth. Its face is always covered in cream and chocolate, and candy is attracted to its paws like metal to a magnet. Dragonologists have to be careful with these sugar fiends – you can't leave them alone with food!